LONDON - The tyre company has dropped its ‘strategic' F1 tie and must find a new road to sales. According to Hiroshi Yasukawa, director of Bridgestone Motorsport, the world's biggest tyre manufacturer, its relationship with Formula One was of ‘strategic importance'. He cited the role the tie had played in ‘developing its technologies, raising the company's brand awareness and providing its strategic business units around the globe'. If this is the case, it begs the question as to why Bridgestone, having secured exclusive rights to the series only in 2008, decided to end its association with the most glamorous of all motorsports. In the nine months to September 2009, Bridgestone's net sales amounted to £12.6bn, just three-quarters of the figure for the same period in 2008. For the full year, it is forecasting net sales of £17.3bn, a 20% drop year on year. 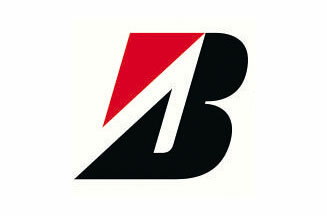 Of course, Bridgestone is not only associated with motoring. It sponsors the Bridgestone International, part of the 2009 World Golf Championships; it also has an association with American football's NFL. The brand was a headline sponsor of the NFL's first match at Wembley Stadium in 2007, and sponsors its Super Bowl half-time show. However, as a tyre brand, F1 stood out as its principal sponsorship opportunity. We asked Jane Asscher, managing partner and chairman at sports marketing agency 23red, which works in Formula One with Bacardi, and Angus McGougan, business director at sports marketing agency Fast Track, how the tyre company can get a grip. Bridgestone has invested heavily in Formula One, so corporate awareness is probably high. However, one look at its website, a trip to the tyre dealer's, or a conversation with a potential customer reveals it has failed to leverage its costly F1 tie and activate the brand at a trade or consumer level. 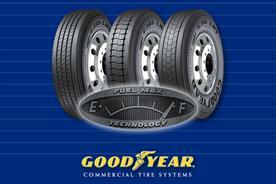 Competitors Michelin and Goodyear have a much stronger presence. I'm surprised Bridgestone hasn't yet tapped into the potential of the consumer market; it seems short-sighted, especially with its comprehen­sive portfolio of products. More worrying is that it is on a Greenpeace shortlist of companies it claims have held back emissions information, which underscores how out of step it is with consumer concerns. The fact Bridgestone says it will ‘redirect resources toward further intensive development of innovative technologies' is positive, but rather vague. It should be careful not to over-invest in developing technological advancements building on the F1 association, and focus on building consumer penetration. After 13 years, Bridgestone is withdrawing from F1 in 2011. It needs to develop other strands of the business, and not Malaysian golf-ball factories, as it did last year. Develop new technologies and strategic products with the consumer at its heart, rather than technology. Review the website. This key communication channel is an urgent priority in a global market. Heighten consumer relevance and raise awareness of individual products. If continuing involvement with GP2 and MotoGP, activate these by linking to promotions, such as driver experiences, and CRM activity. Formula One has provided Bridgestone with a global platform to showcase its tyre technology and performance in a high-octane, live motorsport environ­ment. Even before its current exclusive deal with the sport, Bridgestone had been behind many constructors' championships. This enabled the brand to position itself as technologically superior, as well as building affinity and preference with more than 600m F1 fans worldwide. The value of forging business relationships with many of the major global auto manufacturers in F1 should not be underestimated either. So why has Bridgestone decided to withdraw from the sport? The worldwide downturn in auto production has unquestionably hurt all tyre manufacturers, leading to much greater price competitiveness, but this is only part of the picture. Other factors to consider would be Bridgestone's investment across all motorsports including MotoGP, GP2, IndyCar, F3, and so on, encompassing R&D, manufacturing, worldwide supply and marketing activity. Perhaps the brand feels that, after many years in F1 the deal has served its purpose and run its course. Bridgestone is first and foremost a tyre and rubber manufacturer, and therefore should continue its motorsport ties. It has diversified business interests such as ‘sporting goods' which can take it into new areas such as licensing and merchandising. Connect with new consumer groups through associations that have pro­duct relevance, such as the NFL and other global sports such as the NBA.